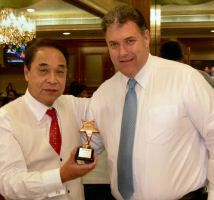 The 2005 X-Calibur Star Awards were presented at the 2006 World of Concrete Exhibition in Las Vegas. 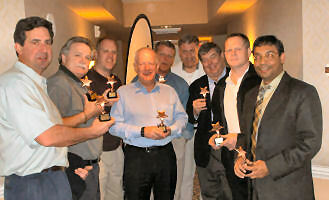 The X-Calibur Star Awards are to recognize everybody in the industry who went over board to help us during the year and will be an annual event. For those who could not attend WOC separate events were held in Hong Kong and Dubai. 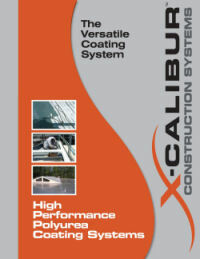 Hong Kong Joint VentureThoron X-Calibur Ltd is a joint venture between Thoron Hong Kong Limited and X-Calibur Construction Systems. Thoron is a highly respected name in the Hong Kong construction industry. The joint venture was incorporated in Hong Kong in June of this year and has already begun supplying products to several prestigious projects. 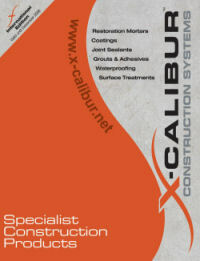 Dubai Joint Venture We are proud to announce our latest joint venture in Dubai, United Arab Emirates. Dubai is currently experiencing one of the largest construction booms in history. The new company Apitech X-Calibur Trading LLC is a joint venture with Apitech Ltd a company that has been operating in Dubai and Africa for over 10 years. This new venture will be responsible for developing the Middle East and Africa and has already had success on several major projects including the Jumeriah Palm, the Airbus 380 Hangers at Dubai Airport and the world’s largest indoor stadium at the Sports City in Qatar.